Kiwi Pundit: When the law gets tipsy: The Racist Cop of Queenstown. When the law gets tipsy: The Racist Cop of Queenstown. They say, the truth, real feelings and attitude are truly displayed when one is either half-asleep, or drunk. These are times when the truth serum in humans takes over. What is especially worrying is when truth is hurting, and is related to somebody in authority and who are supposed be trusted members of the community. 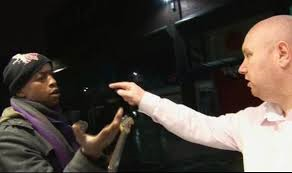 Judge Tony Couch in the District Court of Queenstown, New Zealand found a policewoman Jeanette May McNee guilty of offensive language and verbally abusing Ganesh Paramanathan, a Malaysian born Kiwi of Indian decent. This coming from a cop in the month when New Zealand is embroiled in the controversy of the book of stolen e-mails does not do much for New Zealand’s “clean” and world-class good image. Especially, when this takes place in the world-renowned Kiwi tourist icon of Queenstown. The controversial book, Dirty Politics alleges that government hired a paid blogger as their Rottweiler, German shepherd or even a Mongrel to attack and discredit their opponents through abrasive articles. To make it worse, the Minister of Justice who should be an epitome projecting squeaky-clean and honourable image, was a friend with the said blogger. Consequently, she lost her job on allegation of associating with the blogger to discredit a senior civil servant, among others. 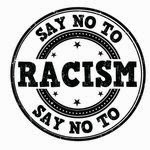 Racism is generally White to Black- committed by a White Person on a Black Person. The best and worst retort on racism is , a White man telling a Black or ethnic person: " GO BACK HOME, WHERE YOU CAME FROM" Little do the White Men know that maybe , except for greater Europe, they themselves are migrants everywhere else in the world, including Canada, USA, Australia and New Zealand. In mitigation, the judge said the accused had consumed wine that evening and had taken pain-killers to ease discomfort from an unsuccessful hip operation. Strangely, mitigating on behalf of the accused the judge said” The irresistible inference is that the reason for the defendant behaving uncharacteristically was the combination of medication and alcohol she had consumed.” Well defended by the one who is supposed to grant justice. Yours truly (me) had a heart treatment and I daily take cholesterol and blood-pressure tablets and aspirin. I love my red wine (and Chivas Regal), and get tipsy every now and then. I do not go to a White Kiwi Irish, Scottish and English and say: “You White piece of s***, you come to this Maori country, stole their land, marry their women, and claim this as your country, you thieving b****** and spud –gobbling c***, go back to your f****** Queen’s country , Britain.” I wonder if the same Judge would take my medication and wine (or Chivas Regal) as a mitigating factor. The worrying thing is that this was a cop, a person on a position which people look up to with respect, and expect it to deliver equality, social justice, exercise restraint and set an example. Thankfully, most of the cops we migrants and non-Anglo-Saxons in New Zealand come in contact with are not like this Queenstown cop. I find most as having exemplary decorum, demeanour and approach which make us confident of law-enforcement in New Zealand. At the receiving end of racism. 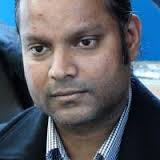 Victim GANESH PARMANATHAN, a Malaysian -born Kiwi of Indian descent. He is humble enough to have forgiven the cop, and claims Queenstown people are generally nice. We are equally proud of the victim Paramanathan, who despite this harrowing abuse from a person who is out there to protect him, was very modest and forgiving. He admitted that people in Queenstown are nice, and this was the first time he was racially abused. Most of us migrants do not go through this because Kiwis are basically very nice and accommodating people. My purpose in bringing this case is to firstly let the abusers know the taste of abuse and advise migrants and victims of racial abuse, to be like Paramanathan, and speak out against that minority who may still harbour racial and other prejudices. I believe in the principle: To commit a crime or offence is sin, to bear them silently is a bigger sin, but to see them taking place and remaining silent is the biggest sin. Hence, I plead to all victim of crimes, and offences like this to speak up, report and stand-up to these types of abuses. As some great people have said, the hottest place in Hell is reserved for those who remain neutral in times of great moral conflict. And, for evil to triumph, it only takes good people to do nothing. I salute Ganesh Paramanathan, the Queenstown Malaysian Kiwi taxi driver for heeding these teachings of Martin Luther King and Edmund Burke respectively. We are thankful to him for standing up to racial abuse and exposing the Queenstown cop Jeanette May McNee, whose exposure, naming and shaming are good enough punishment. 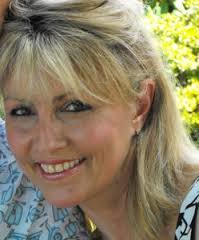 The Queenstown Policewoman, Jeanette May McNee, who is there to protect the citizens, not to abuse them. She is accused of racially abusing Ganesh on November 2, 2013. Thankfully, she is the exception, and not the rule, as generally, New Zealand Police have high reputation of being fair and just. But I salute all our other cops, who despite provocations and other forms of pressures, are pride to this noble profession of law enforcement. You make us Kiwis proud.